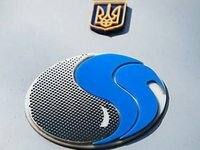 National joint-stock company Naftogaz Ukrainy has asked Ukrainian Prime Minister Volodymyr Groysman to put the issue of selling 49% of the Ukrainian gas transportation system (GTS) before a meeting of Ukraine's National Security and Defense Council (NSDC), the Delovaya Stolitsa publication has reported, referring to a copy of the company's letter. "Naftogaz Ukrainy addressed Groysman with an initiative to put the possibility of selling 49% of the Ukrainian GTS to a foreign company to a meeting of the NSDC," the publication said. Naftogaz explains its proposal by the fact that Russia is trying to deprive Ukraine of gas transit, and it is important to attract a credible international partner to counter it. As reported, Ukraine in January-August 2018 reduced transit of natural gas through its GTS by 6% compared to the same period in 2017, to 58.217 billion cubic meters.